Artificial intelligence (AI) technologies are rapidly moving beyond the realms of academia and speculative fiction to enter the commercial mainstream, with innovative products that utilize AI transforming how we access and leverage information. AI is also becoming strategically important to national defense and in securing our critical financial, energy, intelligence, and communications infrastructures against state-sponsored cyberattacks. According to an October 2016 report issued by the federal government’s National Science and Technology Council Committee on Technology (NSTCC), “AI has important applications in cybersecurity, and is expected to play an increasing role for both defensive and offensive cyber measures.” Based on this projection, the NSTCC has issued a National Artificial Intelligence Research and Development Strategic Plan to guide federally-funded research and development. 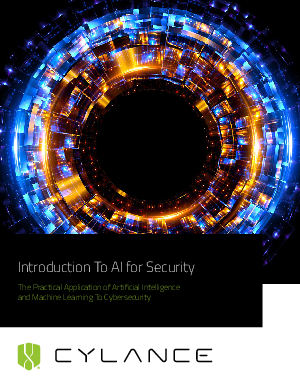 The era of AI has most definitely arrived, but many still don’t understand the basics of this important advancement, or how it could be applied to the cybersecurity industry.